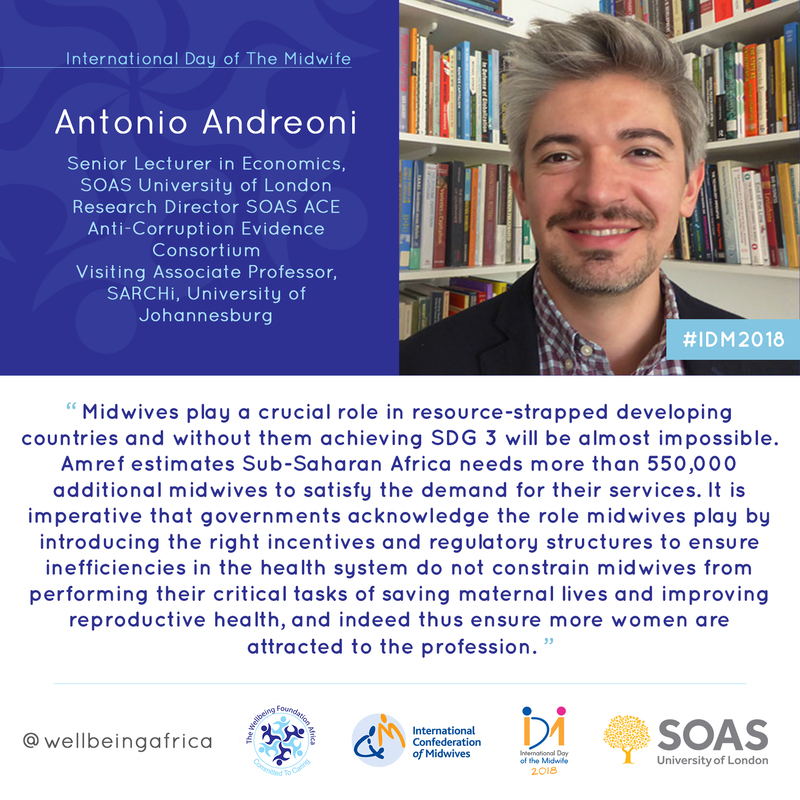 International Day of the Midwife - what role for midwives in tackling corruption? International Day of the Midwife took place on 5 May 2018. 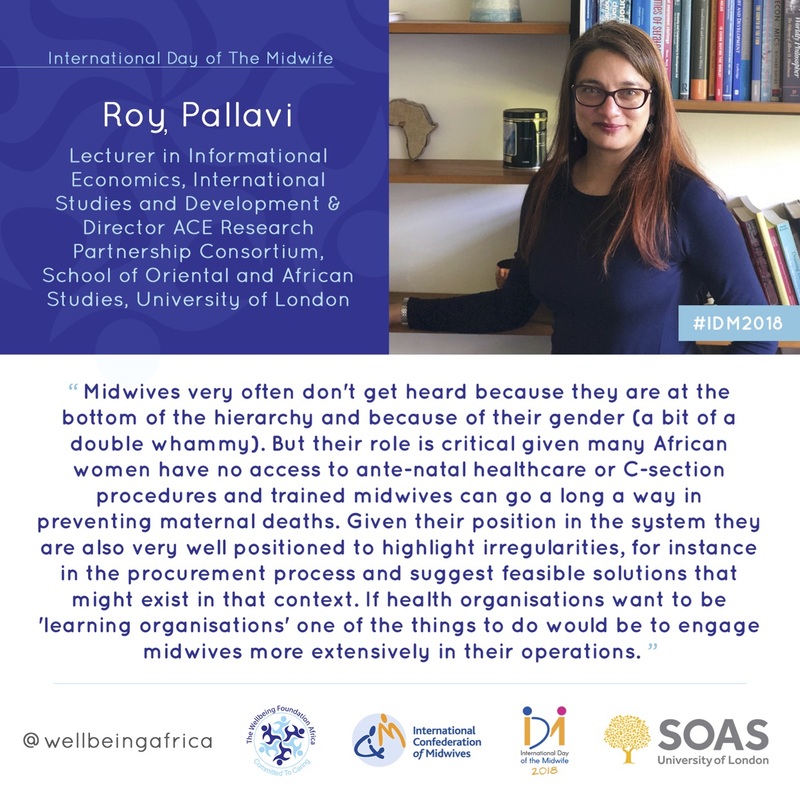 Co-Research Directors of the SOAS-ACE consortium, Pallavi Roy and Antonio Andreoni, stood up for midwives and their unique role in achieving the Sustainable Development Goals on maternal and neonatal health and mortality. For more information on SOAS-ACE's work on health and anti-corruption, click here.